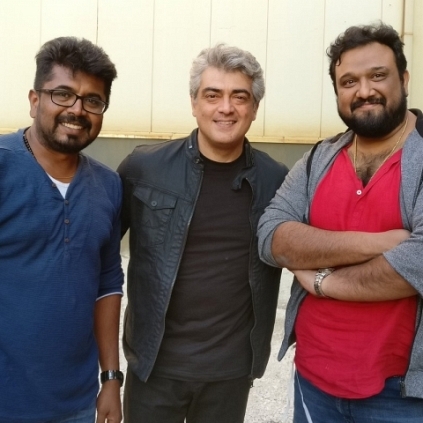 Director Siva took to Twitter this evening to register that the entire shoot of Vivegam has been wrapped up, including all the patch works. Surprisingly, it is exactly one year back, on this date, Vivegam's official pooja function was held. Last year, 6th July 2016, Siva tweeted, "with love of thala ajithsir ,thala fans,cinema lovers and blessings of sai,starting my new project thala57 by siva & team sai...sai", thereby announcing the start of the project. Now, in the next 365 days, the shoot has been wrapped up and the post-production is going on in full swing. The film is being planned for release on August 10th. However, there has been no official confirmation regarding that. When will the Tamil films that were postponed, release? People looking for online information on Ajith, Siva, Vivegam will find this news story useful.